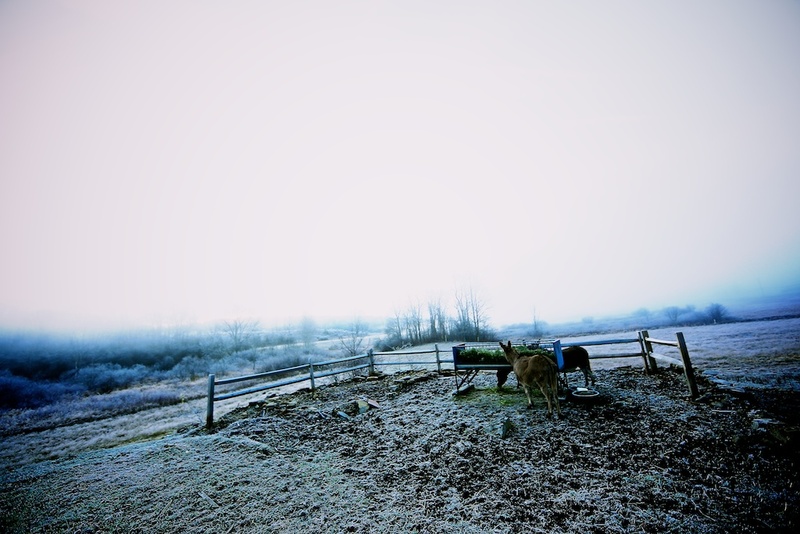 The winter pasture came in this morning’s deep freeze and heavy frost, shrouding the pasture in a ghostly white. This is one of the most beautiful scenes for me, the winter pasture that settles in the country this time of year and stays until the Spring. It is one way I have to take comfort in winter and see beauty everywhere.